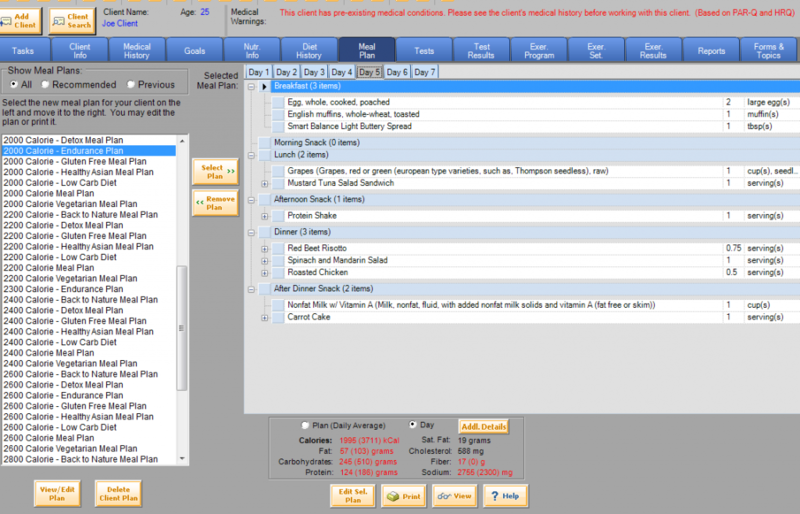 We offer an alternative to our online meal plan software and it is a desktop system. It is a bit different. To learn more, see below. Quite simply, it is a meal plan software that is installed directly on the hard drive on your computer. We call it classic because before the days of high speed internet and online apps, desktop software was the only option. It might be. Suppose you do not want a subscription system. Maybe you don’t need all the features an online meal plan software provides. That’s ok, not everyone does. We have the answer. We have been making software for nutrition professionals for over 15 years. 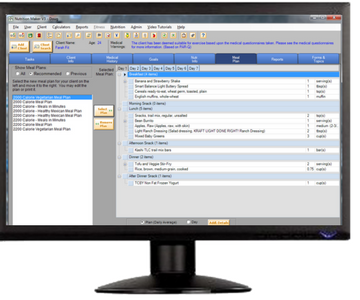 We developed the desktop software and still offer desktop software for dietitians and nutritonists. Will it still let me provide services to my clients? Of course; our desktop systems have worked for nutrition professionals for years and still does. You can still provide meal plans, assess calorie requirements, provide diet analysis almost all the things our online software provides. It really depends on your preference and your nutrition consult needs. Desktop software is a one time purchase. It installs on your computer, so you access it there, typically a work computer or laptop. The online system includes all meal plans, however with the desktop program, you buy meal plans as you need them (or create your own). But, since it is not online, you obviously lose some functions like the online client portal, ability to access on a web browser, messaging, etc. 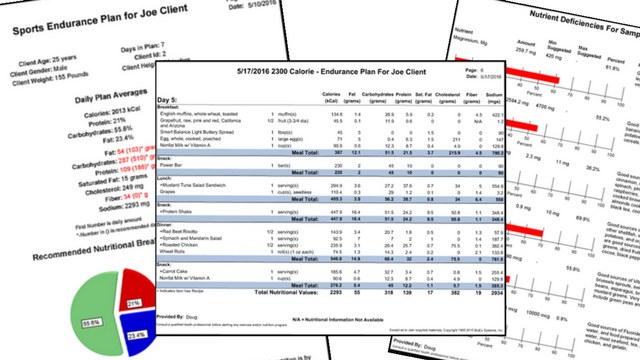 Meal plans and other reports can be printed or saved and sent by email to the client. The desktop tracks weight tests only. Check out our Quick Compare chart to help you decide which option is best for you.